The action sections of this issue are fine enough but where Dan Jurgens' script truly shines is in the interaction between Clark, Lois and Jonathan. 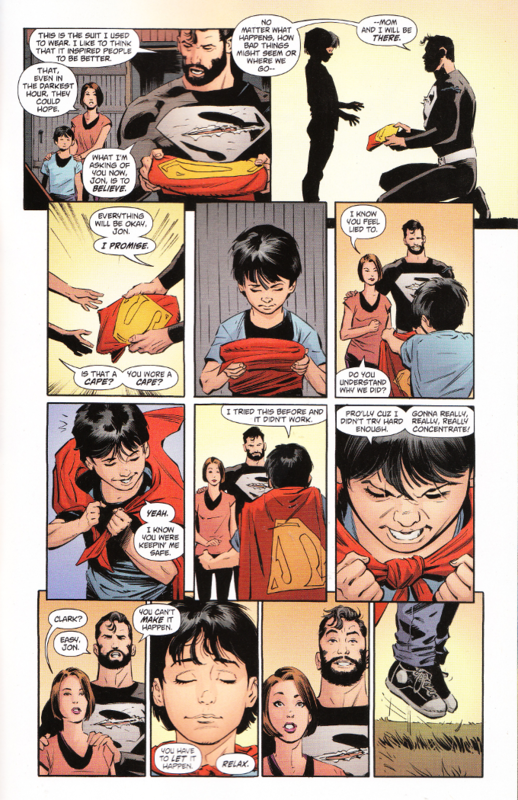 Jurgens captures the essence of who Clark and Lois should be perfectly and Jonathan has grown into an instantly likable character under his pen. The artwork for this issue - provided entirely by the original team of Lee Weeks, Scott Hanna and Jeromy Cox - suits the story perfectly. Hopefully this story will continue to be as enjoyable in the post-Rebirth Superman series.